Assisted Living & Retirement Communities — Waste Consultants, Inc. 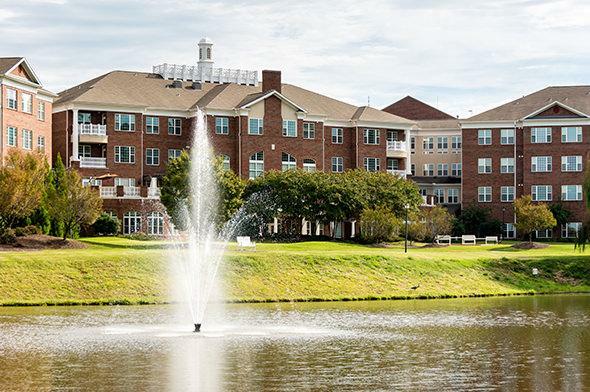 Many assisted living and retirement communities pay too much for waste management services that don’t provide all of the support and resources necessary to address residents needs while providing cost-effective waste removal. You shouldn’t have to choose between great service and managing your waste management budget. Over 90% of companies are paying too much for waste removal - are you one of them? At Waste Consultants, it’s our goal to help businesses save money on their waste and recycling programs. We know that there are many unique challenges associated with these elderly and retirement communities. In response to those challenges, we’ve developed methods to effectively reduce and manage these ever-increasing expenses. The best part - our clients only pay us when we produce quantifiable results. Our waste management and recycling expense reduction methodologies are designed to make the process as streamlined, fast, and cost-efficient as possible. Scalable Garbage Disposal—With potentially hundreds of residents in their care, assisted living facilities can produce tons of waste in a short amount of time. It’s important to have a company and a system that’s trustworthy, dependable, and resourceful when it comes to handling this pressing need. Recycling—Waste management isn’t just about removing garbage. It’s also about being smart about waste products and reducing environmental impact and pollution. We’re proud to assist with recycling services that reduce ecological damage. Medical Waste (Red Bag)—By their nature, assisted living and retirement communities provide medical care which creates medical waste. We’re equipped to assist in handling those needs in a safe and secure manner, keeping residents and employees out of harm’s way in the process. No matter how big or small they are, all assisted living and retirement homes need expert waste management systems, and we’re here to provide them. We have helped several businesses, in a variety of industries, save thousands! Our fees are based on how much savings we pass on to you. At Waste Consultants, we use a five-step process that’s designed to carry our customers from their initial needs of a waste management program to implementing one to finding ways to further improve it as needs change and grow. With more than 15 years of experience in the waste management industry, we’ve earned a strong reputation due to our consistent track record of success, and we’re ready to put our experience, resources, and ingenuity to work for you. Get in touch with us for a free evaluation—call us toll-free at (855) 411-WASTE (9278) or locally at (828) 386-4153. You can also email us at info@wasteconsultantsinc.net or contact us by completing the form below.